Get rested and the Comfort Suites near Gettysburg Battlefield Visitor Center Hotel in Gettysburg, PA and you'll be ready for anything. Our smoke-free hotel is near historic Gettysburg, Gettysburg National Military Park, General Lees Headquarters Museum and Gettysburg College. 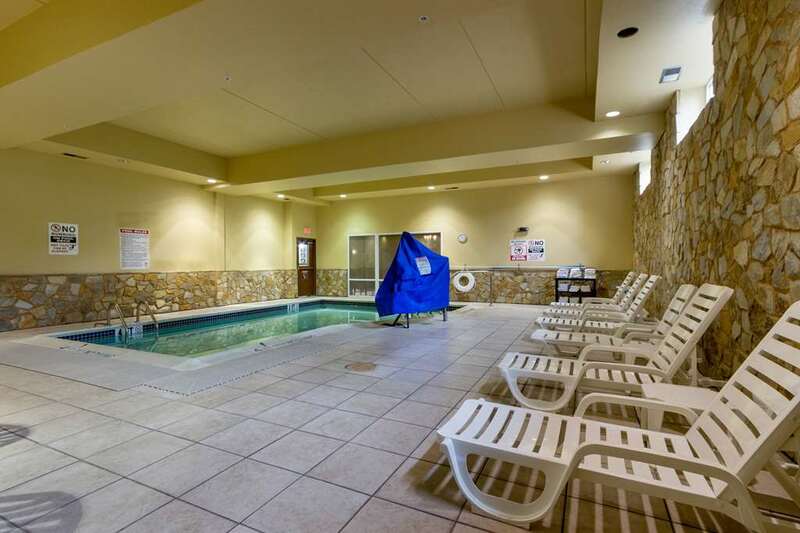 Tourists and business travelers alike appreciate free breakfast, free WiFi, free weekday newspaper, a fitness center and an indoor heated pool. Your guest room features a flat-screen TV, refrigerator, microwave, hair dryer, coffee maker, desk, iron, ironing board and a recharge device. Also, earn rewards including free nights and gift cards with our Choice Privileges Rewards program.